Dr. Feng (Joe) Li has a decade of experience in the biomedical research industry, and is currently providing consulting services on China’s bio-pharma and medical device market for U.S. companies and non-profit organizations. Dr. Li founded Boston Education Institute in 2015 to focus on education exchange programs between China and US. Dr. Li is currently serving as a board of director at Great Boston Convention and Visitors Bureau and in charge of Education Tourism and China Market Committee. Dr. Li is also appointed as an oversea board of Director at Beijing Global Talent Exchange Association, Innovation Counselor at Zhongguancun College of Innovation and Shenzhen Star Social Work College for his extensive experience in education and innovation. Dr. Li is very active in community service. 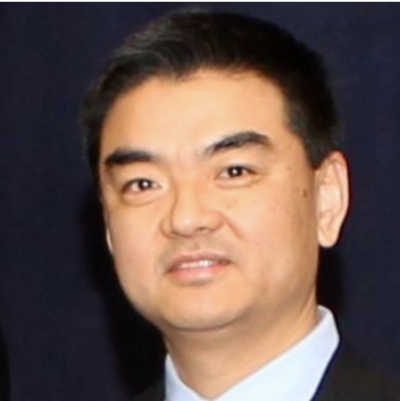 He has been a commissioner of the Buddhist Tzu Chi Foundation (an NGO) since 2004, and was the Associate Director of the Boston Service Center from 2007-2009. He has served as a board of director at Chinese Culture Connection since 2013. Dr. Li holds a Ph.D. in pathology from the University of Cincinnati and a M.D. from Shanghai Medical University.